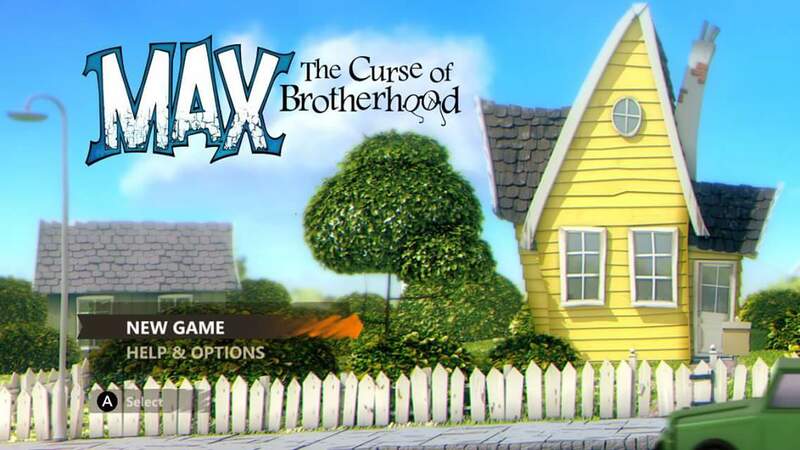 Max: The Curse of Brotherhood is actually the sequel to Max & The Magic Marker, which was a Wiiware puzzle platformer that was eventually ported to PC, Mac, PSN, and the DS. 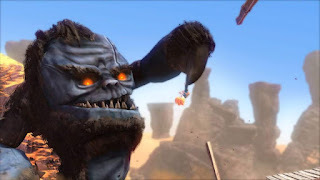 In that game, Max draws a monster to life with his magic marker, and then must use that same magic marker to draw platforms and overcome obstacles on a quest to defeat that monster. 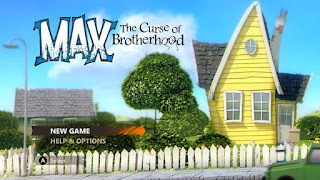 With Max: The Curse of Brotherhood, we find Max annoyed with his little brother, Felix, whom is playing rough with Max's toys. Max looks up a spell online to get rid of his little sibling, and when he recites it out loud, a portal opens and a giant furry hand emerges and takes Felix. Knowing that this won't end well for him, Max jumps into the portal on a rescue mission. 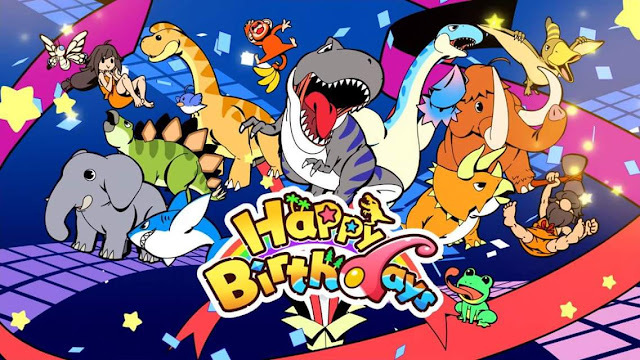 After what amounts to a tutorial teaching us the basics of the game, we find ourselves being chased by the aforementioned furry monster. Upon escaping this, we meet up with a strange little magical person that inform us that Felix has been taken to a far off tower, and this creature imbues their spirit into a magic marker. We pull this magic marker from a stone like Excalibur, and soon go through another tutorial level of sorts teaching us a bit about the magic marker's capabilities, which we will then use from here on out to help us navigate masterfully crafted platforming levels that utilize clever environmental puzzles to proceed on our mission to bring Felix back home. This game is beautiful in all regards. 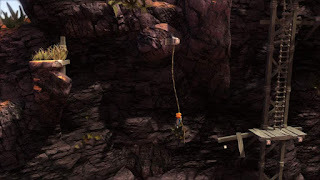 The colors are bright, and the 3d rendered models pop on our sidescrolling trek through interesting environments that are both realistic and cartoony. 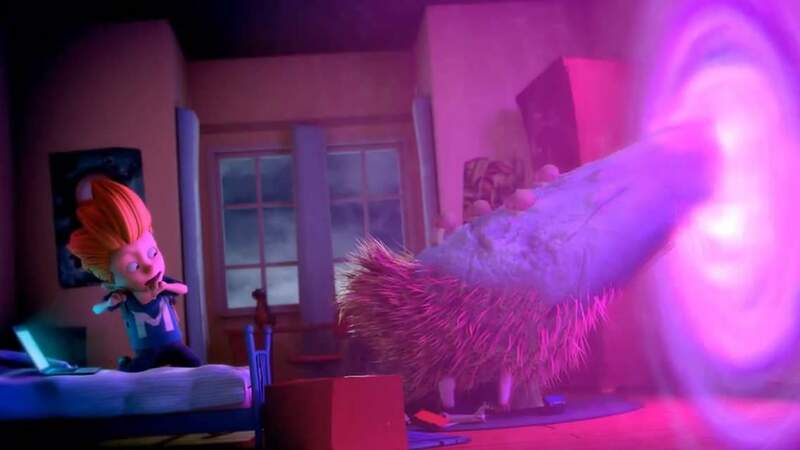 The sound design further enhances our journey to get back the pest that we often forget that we really love, and it makes for a fun world to explore. While the path is linear, the engaging use of the magic marker to assist us keeps the game from becoming repetitive, and as I mentioned before, the level design found within is among the greatest I've seen on the Switch. 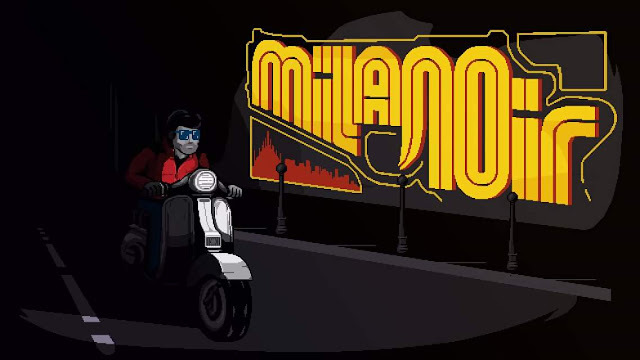 The game is to be found on other platforms, but again we find the integration of HD rumble vital to the experience, and helps lends itself to being the definitive version of the game. I highly recommend Max: The Curse of Brotherhood for any family of puzzle platformers.